If your palette has not yet been matured to the tastes of a smooth red, and you exclusively drink whites much to the dismay of your wine-snob friends, wine-not (pun game on point) try this brand new concoction from the geniuses over at The Boatbuilders Yard? It’s called the Freezling and it’s here to slay. The appeal of the Freezling lies in its simplicity, it’s just a frozen reisling with white peach and citrus, and yet it has been described (mainly by us) as ‘summer in a glass’. 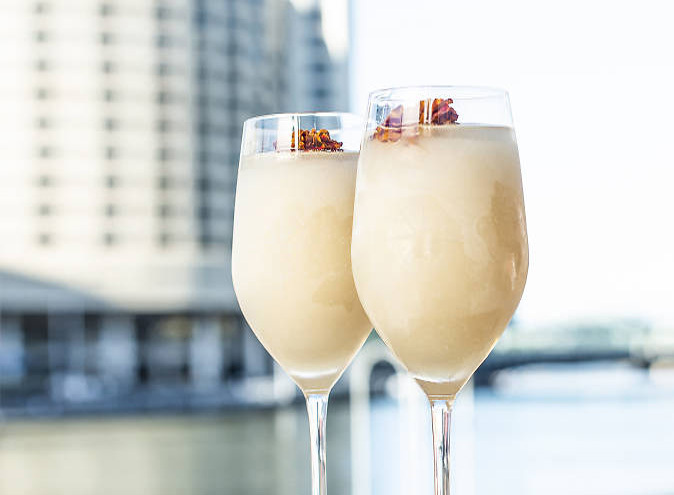 After all, nothing screams summertime more than a frozen cocktail! Venue Manager Brendan Stegmann was not surprised at all by the Freezlings amazing reception, saying that “as soon as we launched it on the menu, there’s been a constant flow of Freezlings coming out of the bar” which have then been directly poured into our mouths, cause we honestly cannot get enough of this stuff. 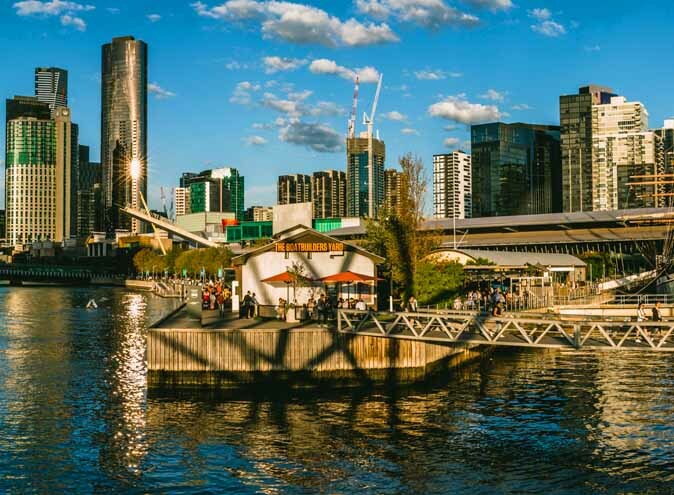 As you may or may not know, the Boatbuilders Yard is one of South Wharf’s premier riverside restaurants, so picture this; you’re sitting in the Boatbuilders Bar, Freezling in hand, with the summer breeze and sun on your shoulders, all whilst gazing at Melb’s amazing riverside views. Sounds absolutely dreamy to us! 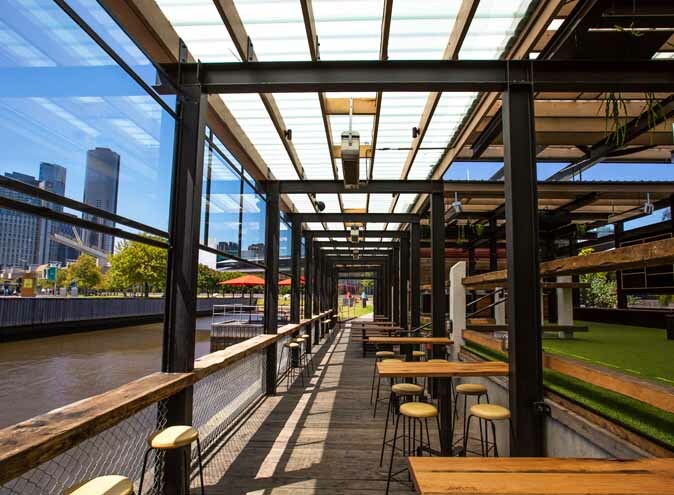 The Boatbuilders Yard makes for the perfect summer hang out spot, not only due to its location, but also by the fact that they have giant games available, a Bocce sand pitt and a custom built beer garden! If all that doesn’t give off the most summery vibes possible, we don’t know what else will. And do you wanna know what the the best part about an alcoholic slushie like the Freezling is? That it gets you lit whilst simultaneously keeping you cool with its icy goodness. It’s a total win win! It’s so good that it’ll even have your wine connoisseur friends reconsider their stances on white wine. So if you’ve been on the constant hunt for the perfect summer drink, look no further than the Freezling!